Niagara Falls, New York was originally known as Schlosser (named after Fort Schlosser). It later became known as Manchester after the industrial City of Manchester in England. Prior to 1788, with few exceptions the Western New York area was owned and occupied by Native Americans of the Neutral Nation. Those exceptions included the military outposts of the French and British at Fort Niagara and Fort Schlosser. Fort Schlosser was situated approximately one mile above the Falls, opposite Chippawa. Fort Schlosser was originally called “Little Niagara” by the French. The fort was destroyed in 1759 after the French surrender of Fort Niagara to the British. In the place of Fort Little Niagara, the British built a small stockade. It was rebuilt by American soldiers and named Fort Schlosser. Augustus Porter, a surveyor, was the first person to purchase and settle upon the land along the American side of the Falls once the British occupation ended. Porter had first visited the Falls in 1795 and 1796. He understood the value and the beauty of the Niagara Falls. In 1805, the State of New York offered lands along the American shoreline of the Niagara River for sale. Prior to 1805, no buildings had been built or improvements of any kind had been made in the vicinity of the Falls. In the summer of 1805, Augustus Porter built a saw mill and a blacksmith shop. 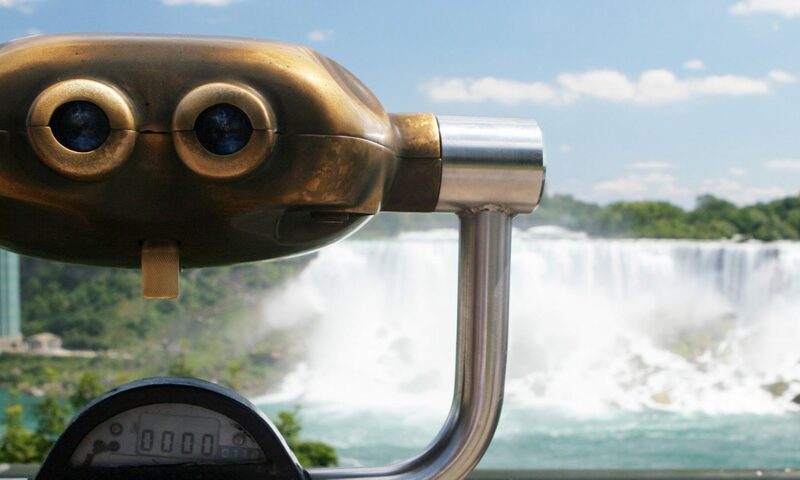 In 1806, Augustus Porter moved his family to Niagara Falls. In 1808, Porter built a new house. This house was destroyed during the War of 1812 but was rebuilt on the same site in 1818. By 1824, Grand Niagara (soon to become the Village of Manchester) had become known as a mill town. In 1832, the Village of Manchester had 550 citizens.